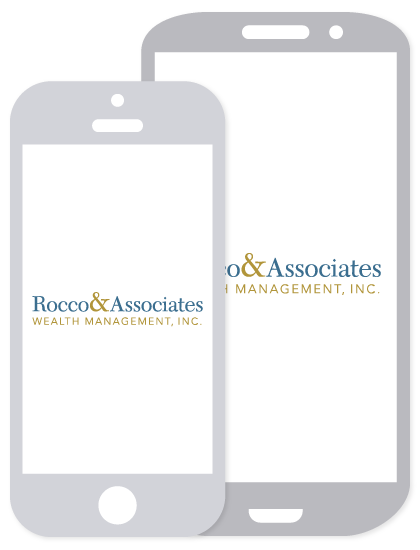 Around The Office - October 2018 | Rocco & Associates Wealth Management, Inc.
Learning that breast cancer isn’t a one size fits all disease, and that each type is different and should be fought differently. A better understanding of the role that genes play in breast cancer, which will hopefully lead to accurate genetic screening prevent the disease. The development of advanced treatments, like harnessing the body’s own immune system to fight off the cancer. Unfortunately, almost all of us still know someone who has battled or is battling this disease, or other life changing cancers. And while we are still fighting for a cure today, it is more important than ever that we continue to support the cause so we can continue the progress towards a cure. Join us this month in support! We are excited that Trish Dalton, Paraplanner, supporting our business as well as our affiliate Moneco Advisors, will be producing a regular scheduled blog that will address financial topics that are impacting today’s Millennial Generation. From managing student loan debt, searching for an apartment, renting or leasing vehicles and everything in between, she will be covering it. Click here to read her inaugural post. Should you have a topic that you would be interested in hearing more about for your own benefit, a son/daughter or relative who is potentially working through some of the same experiences, send her an email at [email protected] with your ideas. Welcome Fall Interns - Katie Pesantez & Nelson Sotelo! Katie is currently studying Financial Management at the University of Connecticut and will be graduating in May, 2019. Katie is a part of the Tau Sigma Honors Society and has received the xCite Scholarship, Global Citizen Award, and UConn's Stamford Scholarship. Katie has previously gone to study abroad in Shanghai, China to understand the financial prospects of East Asia. She is involved at UConn as a Peer Adviser to 100 incoming business students, mentors 65 freshman and sophomore’s that are a part of the Business Connections House in Stamford, and mentors all Financial Management Major candidates. Katie enjoys traveling, learning new languages, watching stand-up comedy, and doing yoga. Katie will be filling the role of Business Development Intern. Nelson is a rising junior at the University of Connecticut. He is in the School of Business and is pursuing a degree in Financial Management. He is an active member of the Financial Management Club and is part of Beta Gamma Sigma Honors Society. Additionally, Nelson made the School of Business Dean’s list during his last three semesters at UConn and was awarded the School of Business scholarship. Nelson is most passionate about learning and exploring the world. In his free time, he enjoys playing soccer, traveling, and spending time with family and friends. Nelson will be filling the role of Financial Operations Intern.